Does the Michigan Trucking Association really care about safety? I’ve been a truck accident lawyer for nearly 20 years. I’ve won an award as a “Leader in the Law” from Michigan Lawyers Weekly for my efforts to promote truck safety, when I was national president of the American Association for Justice Truck Accident Lawyers Litigation Group. And I have donated hundreds of hours talking about safety and preventing truck accidents with everyone from trucking companies to motor carrier regulators in Washington about the subject. So imagine my surprise when I was rejected for membership from the Michigan Trucking Association. One would think that the Michigan Truck Association in Lansing shares my passion for promoting safety. After all, its tagline is “Safety. Service. Smart Business.” So I applied to become a member. The Michigan Trucking Association sent me a letter saying that I wasn’t welcome. Here is the letter. I notice, however, that defense lawyers — those who defend truck companies that have committed safety violations and seriously hurt people in truck crashes — are still allowed to be members of the organization. For example, according to the Michigan Trucking Association’s 2011 member directory, defense attorney Paul Millenbach is a member, as is defense attorney Michael Tauscher. I currently have a serious truck accident case with Michael Tauscher. And I had a case with another truck attorney from Mr. Millenbach’s law firm in the past. That case was Barnes v. Cassens Transport Company out of Wayne County, and my client received a $3.6 million truck accident settlement. 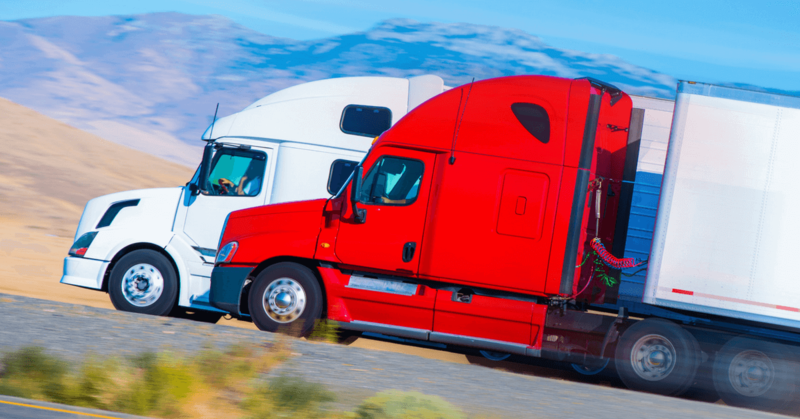 Jerry Swift, a partner of Paul Millenbach’s, represented the negligent trucking company. It seems the Michigan Trucking Association cares far more with limiting the liability of its members who have broken the traffic laws and committed safety violations than they do with their mission statement of safety. It is surprising – after several hundred hours donated to lecturing on truck safety, and after all the hours of pro-bono speaking engagements, and even after I was named a Michigan Lawyers Weekly Leader in the Law because of my past work to prevent truck accidents – that I would be denied membership from an organization whose mission statement is about safety and preventing truck accidents! If the Michigan Trucking Association really cared about safety and preventing truck accidents, then my membership as a Michigan lawyer would be consistent with how the organization promotes itself. It’s a tragic shame that the Michigan Trucking Association is more concerned with protecting members who cause truck accidents than it is with preventing these accidents to begin with. So, to Ms. Karen McCumber, the Director of Membership for the Michigan Trucking Association, hopefully you will reconsider your decision to exclude me. – Steven Gursten is a partner of Michigan Auto Law and one of the top truck accident lawyers in the U.S. He is past president of the American Association for Justice Truck Accident Litigation Group, and has received the top-reported verdict in Michigan for truck crashes, according to Michigan Lawyers Weekly. Michigan Auto Law exclusively handles car accident, truck accident and motorcycle accident cases throughout the entire state of Michigan. We have offices in Farmington Hills, Sterling Heights, Ann Arbor, Grand Rapids and Detroit. Call (800) 777-0028 for a free consultation with one of our truck accident lawyers.